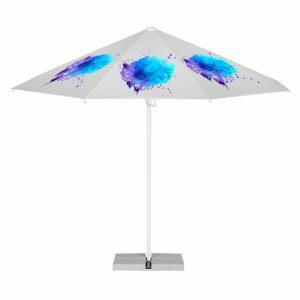 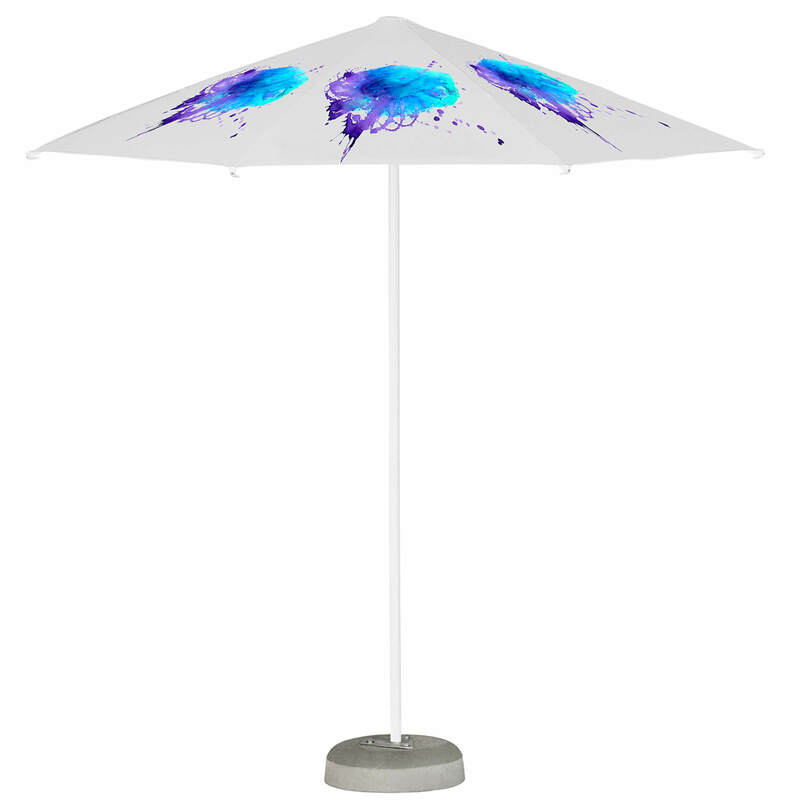 Our Small Aluminium Printed Parasols are a great option for those on a budget. Ideal for pubs, bars, gardens, restaurants and cafes. 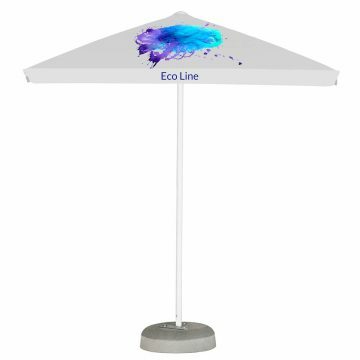 These come with a white coated aluminium frame fora clean and modern look. 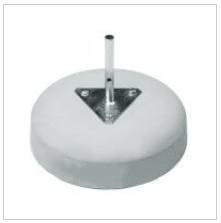 The central pole measure 38mm and is white coated steel central pole. 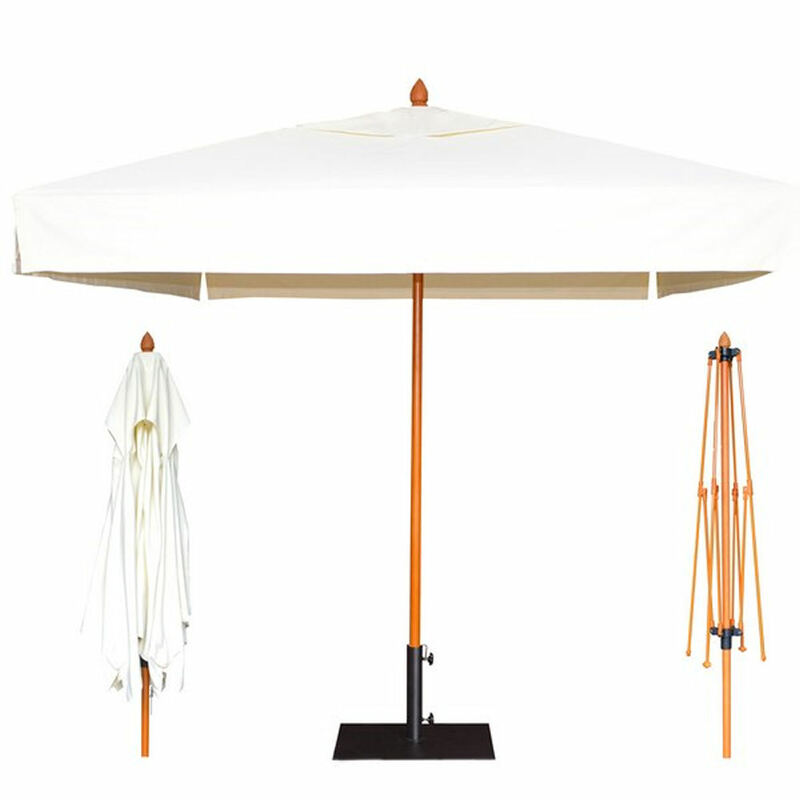 The 8 ribs also come in white coated steel measuring 15mm x 15mm.